De initio finis – I komu to przeszkadzało? 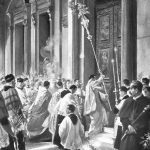 In pomponious-celebratory terms, the last two weeks were an interesting time: not only the number of celebrations of Holy Week according to the rules from the reforms of Pius XII rose sharply, but also most of them took place without begging Rome for any kind of approval. At least it seems so: neither the Institute of Christ the King Sovereign Priest, nor the Institute of the Good Shepherd have boasted about any indults in this matter; yet, their Facebook profiles are abundant with photos from Holy Week liturgies celebrated in the older rite. It has been obvious before that among the members of traditional communities there have been tendencies to return to pre-Pius Paschal Feast; however these manifested themselves in various manners and extent. The catalyst was an unexpected indult granted to the Priestly Fraternity of St. Peter that made many believe, and justly so, that there are no logical obstacles to celebrate Holy Week according to the books from before the deforms of the half of 20th century. 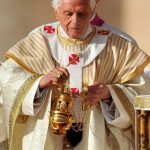 This must have stemmed from the thought expressed by Benedict XVI, as follows: “What earlier generations held as sacred, remains sacred and great for us too, and it cannot be all of a sudden entirely forbidden or even considered harmful. It behooves all of us to preserve the riches which have developed in the Church’s faith and prayer, and to give them their proper place.” Although those words referred to the general approval for celebrating Masses according to the Missal of John XXIII, their sense can be applied to celebrating Feasts of Death and Ressurection of our Lord Jesus Christ according to the older Missal. 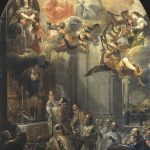 For can anyone abolish the prayer that had been nourishing the Church for ages, that had been an integral part of the Missal of Pius V and that was the first to suffer destructive yearnings of fr. Bugnini? As it always does, the reality verifies everything; yet, it seems that we witness the beginning of the end of an unfortunate experiment, namely the reform of Holy Week in the 1950s. Card. Burke surrounded by assistants while celebrating the liturgy of Good Friday according to the books from before the reforms of Pius XII. Another positive thing is the fact that the trend to return to the normal state of affairs has also influenced Poland: apart from the places where Triduum from before the reforms had been celebrated earlier, there appeared new ones where, e.g. Palm Sunday was celebrated in the older rite. One traditional community outshone the others by celebrating the Three Sacred Days solemnly, namely with a deacon and a subdeacon. Moreover, they were eager to spread the word about the event: they sent photos and short descriptions of the celebrations to a local Catholic newspaper which published it daily on its website. The best thing is, however, that it was not the community which, as the only one in Poland, had a Vatican’s consent. Some paradox. And not the only one in this matter. To depress the proponents of the post ’55 rite or, so called, followers of the Saint Paper, we should remember that there was a totally pomponious Triduum with card. Burke in Florence: it should be noted that cardinal’s penitential choir dress was used, including a sash with golden tassels. 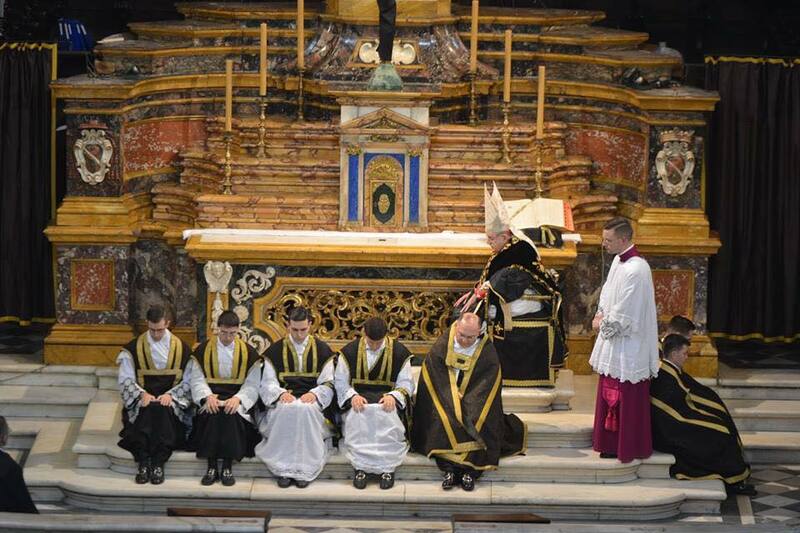 And all of it happened in the first year of indult for chosen houses of one of the traditional priestly fraternities. It bodes really well for the future, yet there is no point in waiting for a wider approval of Holy Week celebrations according to the older rite before the three-year ad experimentum period for FSSP has passed. Until then we must work it out without any special approvals. Is it right to do so? Well, the situation is very similar to the period of the introduction of the new Mass: Firstly, the old Mass was abolished; then, there was a period of indults when the ’62 rite replaced the ’65 liturgy; there were also hybrids we don’t even want to mention, and finally there appeared Summorum Pontificum. Just as in the period of indults when there were priests who celebrated the Old Mass without bishop’s consent, certain curbs of papal motu proprio were ignored according to the very rule: to follow the spirit of logic, not the spirit of letter. This is also the case when it comes to Holy Week: it should be finally stated that the reform of Pius XII is a transitional rite, not the old Roman Missal, whose integral part is the rite of Paschal Feast unbesmirched by Bugnini. This whole situation is a proof of what turmoil was caused by liturgical reforms of the half of the previous century which resulted in present re-shaping of the traditional Roman rite. And this period demands from us, the faithful attached to older forms of liturgy, actions which will allow for re-establishing them, even against current regulations. It will not be the first example of such an attitude. Yet, it is important to be guided by the love of the Church and Her liturgy; otherwise this movement may transform into a rebellion for a rebellion’s sake.